When you’re a little home-cooking-self-proclaimed-chef like me, that’s the best thing that anyone could ever say to you. These grits are excellent for dinner when accompanied by fried haddock, catfish or even shrimp. I promise you, these are not your mama’s Sunday morning grits. Get ready for the best grits you’ll ever eat. Prep Time: 5min. | Cooking Time: approx. 25min. 1. In a medium saucepan, bring the chicken stock, and whipping cream to a simmer. 2. Whisk in the grits and stir constantly until the grits return to a simmer and cover. 3. Cook until thickened, stirring occassionally to make sure the grits don’t stick, about 5 minutes. 4. Stir in the butter, cream cheese and parmasean cheese and and reduce to a low simmer for 15 more minutes, stirring often for super creamy grits. 5. Season to taste with salt and pepper and serve garnished with sharp cheddar cheese. *For thicker grits, reduce water by 1/4 cup. 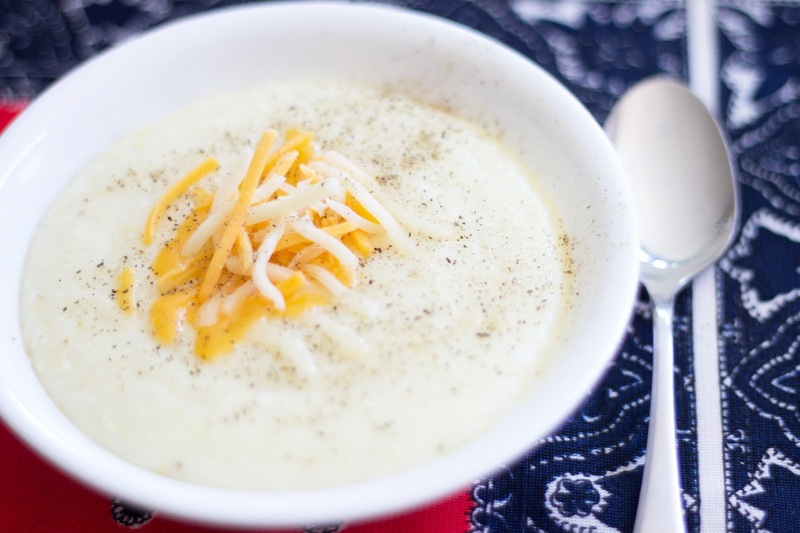 If looser grits are preferreF, add water or broth until desired thickeness is reached.